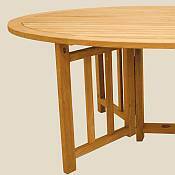 The Oval Flip Table is a wonderful table designed for those needing to save space. 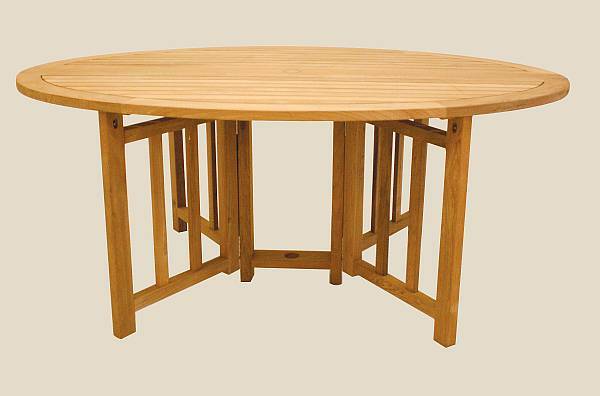 Enjoying an indoor or outdoor family event is easy with this versatile table. The table can be folded down and moved against a wall or in and out of a sunroom/screened porch very easily. It can also be used as a half circle buffet against a wall. With this table, it is so easy to save precious space while having a beautiful, roomy dining spot at the same time. Pair it with one of the great chair styles from the Royal Teak Collection, and you will not be disappointed.